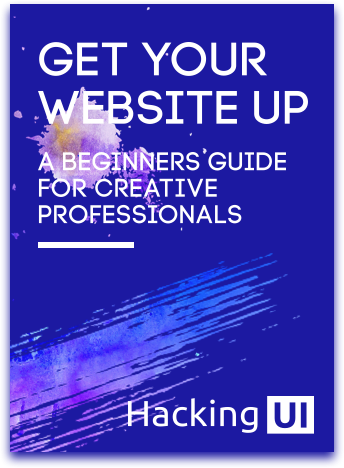 With this guide we also got you an offer for a .design domain name for only $5. you can claim it here. This part is mostly technical, and will explain the basics. Domain = your name on the internet. It’s basically a way for us humans to better remember the address of a website. In computer language your address is actually a bunch of numbers, an IP (you’ve probably heard that term before). Hosting = your storage place on the internet. In general it’s a place to store all your files. In nerdy computer language, it’s a server. An actual computer somewhere far away that those files are stored in. This computer actually sits in some room somewhere alongside a lot of other computers. There’s also a name for such places with rooms full of server computer: They are called ‘server farms’. Just like we humans are made of bones, meat, flesh, etc., a website is made up of files such as .html documents, images, and more. Let’s say a business named H&M wants to open a new store. They have an idea of where they would like to open their new store. A location for the store. An actual address so they can tell anyone wanting to arrive how to get there. So what do I need to have a website up and online? Your domain name redirects to your hosting service, which holds your website files in it. * Some online services like Wix or Squarespace combine #2 & #3 to one, but then charge more. Using a big website platform that already did all of the above. For instance, Behance is already is a great website platform, and it pays its own hosting and just let’s you open an account there and then upload only images to set up your own portfolio. We recommend buying your own domain though. If you have a nice memorable domain name, you can send potential clients or employers to your Behance without giving them a clunky URL with a backslash. It also looks way better on resumes and business cards to have your own unique domain name. So, let’s talk about that domain, shall we?